Home Remodeler West Chester PA 19380-19382 • A+ Reviews!!! Looking for an All-Star contractor with decades of experience serving the West Chester, PA & the entire Chester County Area? Tom Thornton of Tri-County General Contracting is the home remodeler that borough residents are looking for. Need to renovate that old worn out kitchen remodel you did 15 years ago? We’re experts at home updates. We turn your dusty old corners into dramatically inviting kitchens and bathrooms. 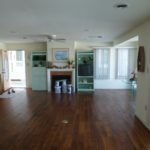 When searching for a home remodeler in West Chester PA 19380-19382, Tri-County General Contracting should be your first choice for all your home remodeling ideas. We have a track record of supplying our customers with one of a kind home remodeling projects. As a locally based home remodeler and father of two West Chester University graduates, Tom loves working for borough home owners! 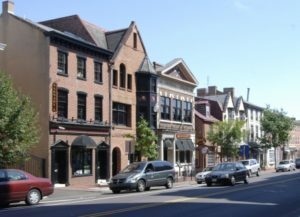 Tri-County is based out of Tom’s home in Glen Mills just 15 minutes south on route 202. We have a long list of neighbors who have used our services. From building full custom homes to remodeling the back deck into a modern outdoor entertainment area, we do it all. Tri-County specializes in kitchen and baths, but also can take on any project in your home. We even do light commercial construction for many home remodeling customers businesses. We are home improvement experts! 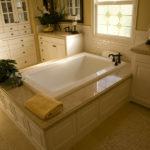 Kitchen and Bathroom Remodeler West Chester PA 19380-19382. Tri-County General Contracting is owned and operated by Tom Thornton. Tom is personally on every job and hand picks his crew and sub-contractors for both professionalism, craftsmanship, and reliability. We can provide you with a long list of references, and would like to invite you to take a look at a job in progress or at our own Custom home in Glen Mills. All kitchen and bathroom contracts will include clearly defined services and charges. We always make sure that our customers budget is a priority. We get the job done right and all remodeling jobs are expedited directly by Tom (the owner) as we only take on 1 or two jobs at a time. This means Your job is always the top priority! So if you live in the West Chester area and need a great local contractor with decades of experience to make your next home remodeling project come to life. Give us a call, we deliver fast and free in home estimates!